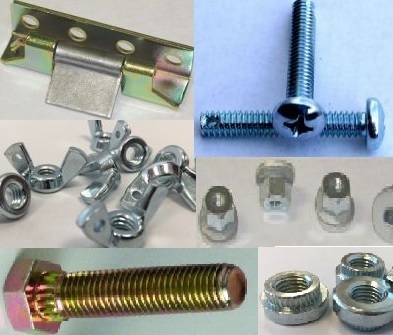 Hinges | Contact Nuts | Meter Sockets | Sealing Nuts | Cal Fasteners, Inc.
Cal Fasteners stocks numerous specialty hardware products for electrical applications. Our inventory includes top quality products from the industry’s most trusted manufacturers. With our huge selection, it’s easy to find the hardware you need. If you can’t find the right specialty product for your project, feel free to contact us—we also offer a wide range of products not listed here. Most specialty products are available in a range of sizes, styles, and configurations. All are manufactured from high quality materials for years of reliable performance. Cal Fasteners maintains a complete, onsite quality assurance lab. All specialty hardware is thoroughly inspected prior to shipment to ensure that our customers get the performance and durability they’re expecting from their purchase. If you’re unsure which product is right for your specific application, please contact us. Our expert team will be happy to help you find just what you’re after. We pride ourselves on providing superior customer service before, during, and after every order. An unparalleled inventory and highly competitive prices make Cal Fasteners your number one resource for specialty electrical hardware. Request a quote for the specialty products you need, or contact us to learn more.